What better way is there to share the good will of the holiday season than by giving a Fair Trade gift? Here at Wedge Worldwide we make a concerted effort to locate and offer a wide variety of high quality Fair Trade items. Two important aspects of Fair Trade are that workers and artisans who make a product are paid a living wage for their craft and work under safe conditions. So this year you can enjoy gift giving even more knowing that your purchase is supporting and helping the workers who made it. Allow us to offer a few fun Fair Trade holiday gift suggestions! 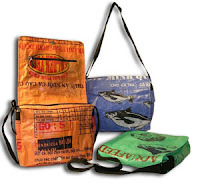 We love these colorful and highly durable Messenger Bags made from recycled rice and feed bags. Each hand-crafted piece is unique! These bags provide a sustainable living to Cambodian weavers and producers, many of whom are female heads of households, disabled due to polio or landmine injury or young women pulled from brothels and taught a trade. 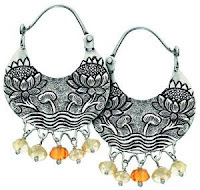 Or peruse our all time customer favorite products from Wedge Worldwide, our extensive Fair Trade Jewelry collection. We offer a variety of gorgeous and unique jewelry from across the globe, and also stunning hand-made pieces by local artist, Robin Rifé. Our Fair Trade Silk and Velvet Scarves are great items for moms and the women in your life. Wedge Worldwide also offers a variety of lovely products made with pure silk like scarves, sumptuous silk throws and velvet jackets. We have a variety of lead-free, safe and ecologically sound toys for kids. Take a gander at some of our newer Fair Trade Wooden Play Sets and Puzzles made from reclaimed rubber wood. A few distinctive items that would fit perfectly in any natural home setting are our Fair Trade Salt Crystal Lamps that give off a soothing warm glow while releasing healthy negative ions. 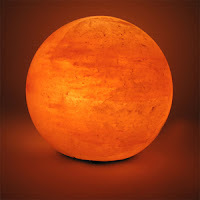 Our Salt Lamps are available in a variety of sizes. We also carry the Planet Lamp, a polished, symmetrical salt crystal. These are just a few of the Fair Trade items that we carry. Stop by and start planning for your holiday shopping today. Let us wrap your presents with pretty, recycled materials and ship them directly to that special person on your list. And another exciting option is coming soon, look for Wedge Worldwide egift certificates this November!